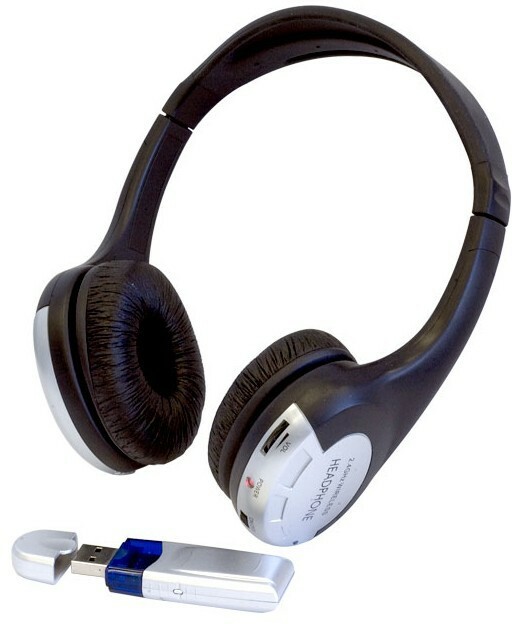 The Wintal WDH11 2.4GHz Digital Wireless Headphone uses latest digital wireless technology that enables you to enjoy crystal sound stereo music and TV sound anywhere inside your home. Simply connect the transmitter to a desired audio source: DVD player, CD player, TV set, VCR , Hi-fi system, or iPod. 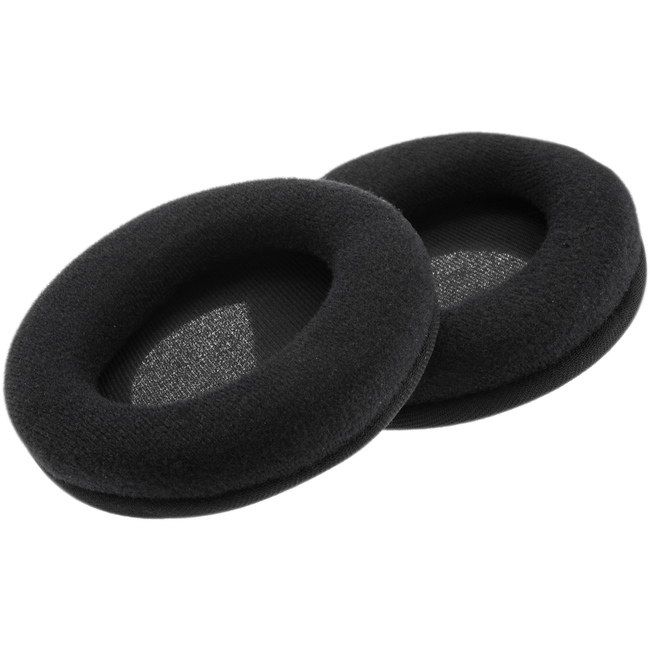 Without complicated wiring and installation, the system enables you to enjoy thrilling, lifelike sound in minutes. The smart auto-tuning on the WDH11 eliminates the need to manually change change and set channels so there’s no interference when multiple transmitters are used in the same location. 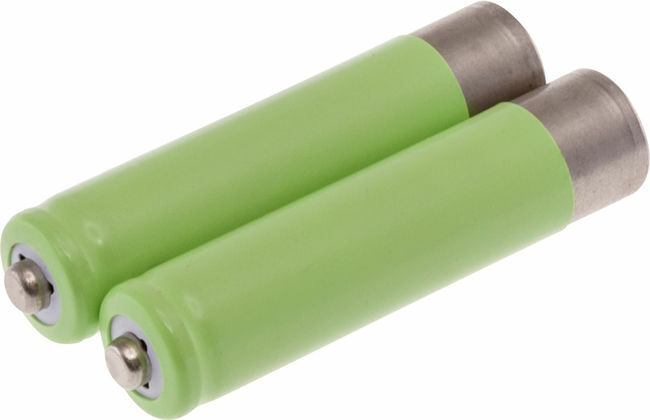 The Wintal WDH11does not work with other rechargeable batteries. It actually does, but requires a little tinkering. 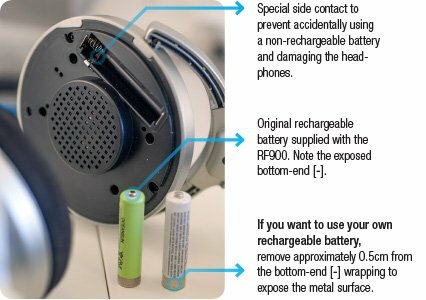 This is a deliberate design choice as putting non-rechargeable batteries and then docking the headset to the base station will actually cause permanent damage to the Wintal WDH11 when the base station attempts to ‘recharge’ the batteries. To prevent this, we have designed a special side contact. 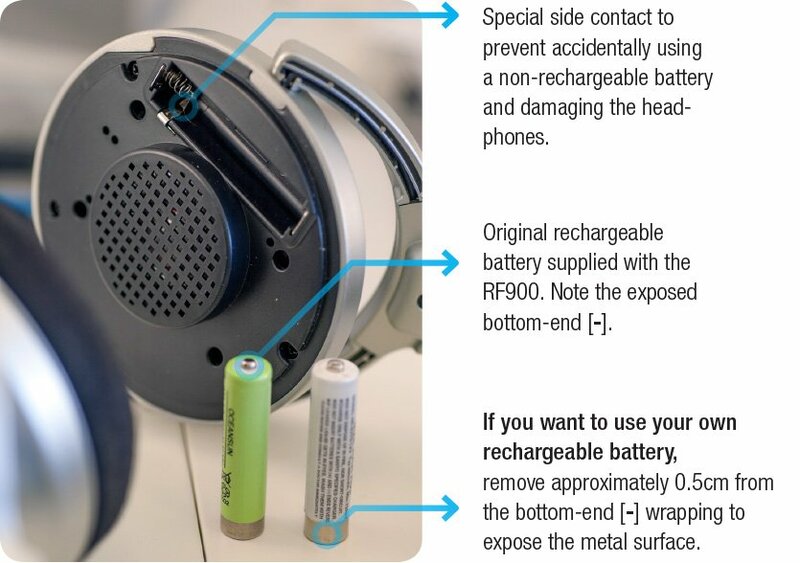 See the image below on how to convert a third-party rechargeable battery to suit the Wintal WDH11 headset. Note: RF900 shown in image, but instructions are still applicable to the WDH11. 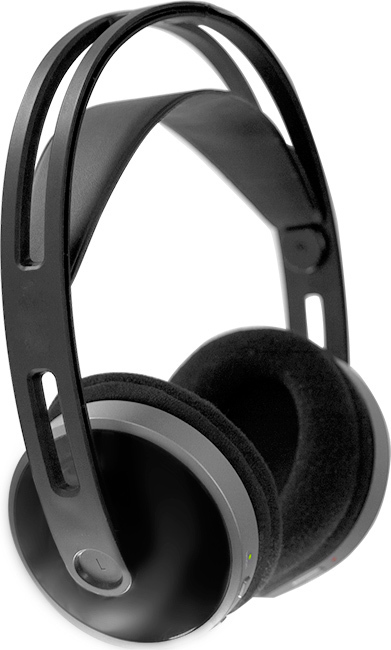 How to pair multiple WDH11 headsets? The red Power LED on the base station will flash for about 5 seconds and once pairing is complete both LEDs on the headset and base station will stay lit. In most cases, this is a sync issue and should be easily remedied by following the steps above (ie re-pair headset).